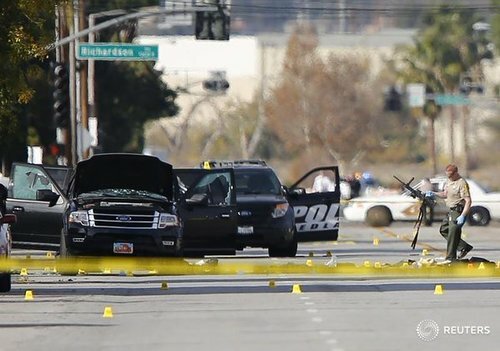 The two suspects who shot dead 14 people in San Bernardino, California, had more than 1,600 rounds of ammunitions in their sport utility vehicle when they were killed in a shootout with officers, police said on Thursday. Police recovered bomb-making material and additional ammunition in a search of a house related to the suspects and the suspects' motive in Wednesday's shooting is still not known, San Bernardino police chief Jarrod Burguan told reporters. He said the number of people wounded in the shooting had increased to 21. There is no indication of any threat to anyone in the area, Burguan added. San Bernardino police chief says person detained after shooting was determined not to have been involved. Police say a bullet may have triggered fire sprinkler system at scene of shooting, which took police a long time to turn off. In 2006, Rafia Farook, whom records indicate is Farook's mother, filed in a Riverside court for divorce from her husband, also named Syed Farook. She listed multiple instances of domestic abuse in the legal filing, and said her husband "threatens to kill himself on a daily basis." During one incident, she said in a court filing, her son came between them "to save me." 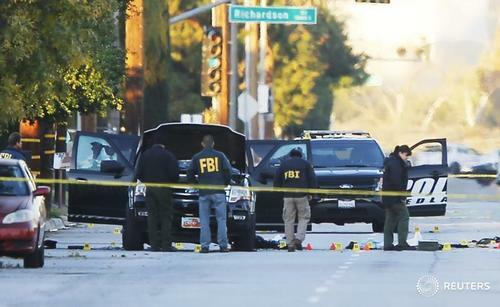 FBI LA director says "irresponsible and premature" to call San Bernardino shooting terrorism. FBI says Farook came back into the U.S. in July 2014, went to Pakistan at one point. FBI LA director said Tashfeen Malik was in the US on a K1 fiance visa under a Pakistani passport. FBI LA director says would be irresponsible to speculate on motive at this point. FBI's LA director says "we cannot rule anything out at this point" on motive. White House spokesman says people should resist urge to jump to conclusions in California shooting investigation. Police chief says officials will begin to release the names of shooting victims later today. Police chief says suspect Farook had no known criminal record. Police chief says "we still don't have the motive" of the shooters. San Bernardino police chief says no indication of immediate threat to anyone in area. Bomb-making material, additional ammo rounds found at searched house. Two officers were injured during the shootout. Suspects had 1,600 rounds of ammunition when they were killed. Suspects fired 76 rounds at police in shootout in which they were killed, police say. Police chief says 23 officers fired weapons at suspects when they were killed. Police say suspects fired between 65 to 75 rounds from their rifles at the scene. San Bernardino police say about 300 officers responded to shooting. 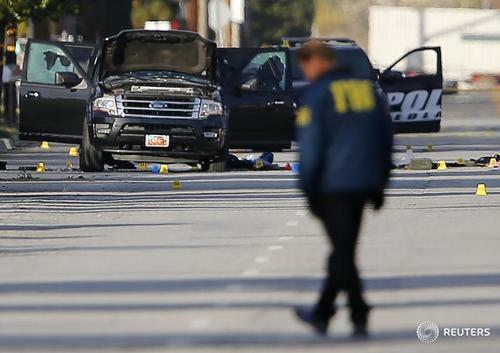 San Bernardino police chief says number of wounded has risen to 21 after shooting. 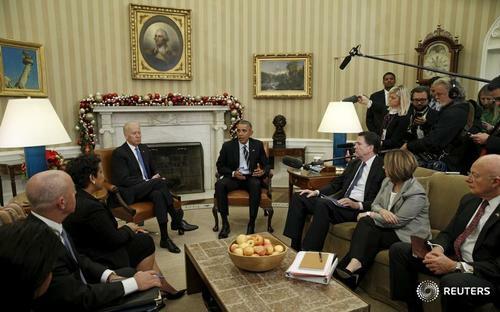 U.S. President Barack Obama speaks about the shootings in San Bernardino, California during a meeting with his national security team in the Oval Office of the White House in Washington December 3, 2015. 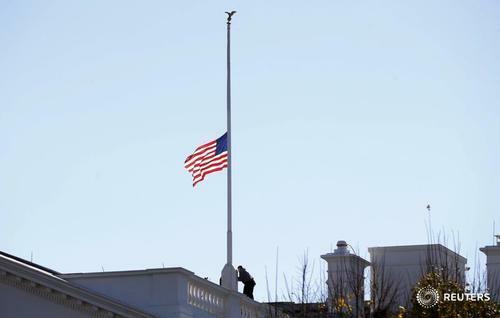 The flag over the White House is lowered to half staff to honor the victims of the San Bernardino, California shootings December 3, 2015. U.S. President Barack Obama said on Thursday that investigators do not yet know why two suspects killed 14 people and wounded 17 others in a mass shooting in Southern California, but vowed that the FBI and law enforcement would "get to the bottom of this." U.S House Minority Leader Pelosi says mass shootings show need for Congress to pass mental health legislation that is "true and real"
JUST IN: Shooting suspect Syed Farook had traveled to Saudi Arabia to apparently attend Hajj pilgrimage, intelligence source tells CBS News. President Barack Obama said on Thursday that investigators do not yet know why two suspects killed 14 people and wounded 17 others in a mass shooting in Southern California, but vowed that the FBI and law enforcement would "get to the bottom of this." "It is possible that this was terrorist related. But we don’t know. 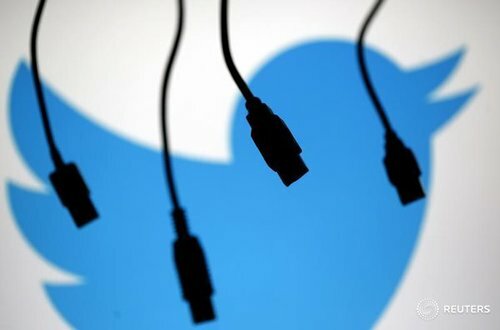 It is also possible that this was workplace related," Obama told reporters after meeting with his national security advisers in the Oval Office. 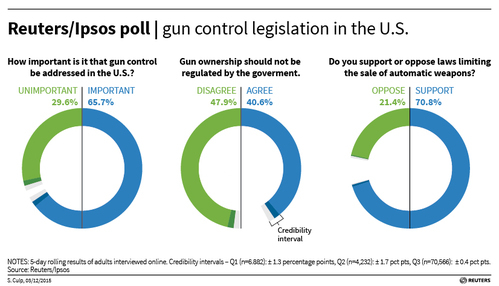 Obama says we need to take basic steps to make it harder for certain individuals to get access to weapons. Obama says we are going to get to the bottom of the shooting, will be vigilant about getting the facts before reaching a judgement. Obama says it is possible San Bernardino shooting was terror related, also possible it was workplace-related. Obama says FBI investigating shooting with local law enforcement, says we do not know extent of suspects' plans. 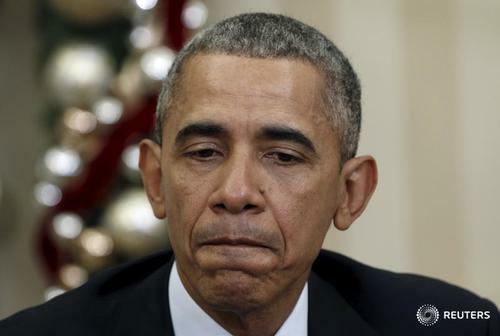 Obama says sends thoughts and prayers to families of those killed in San Bernardino shooting. He says at this stage, we do not yet know why this terrible event occurred.